Click here to print the bible study. Continue the video that tells the story of Ruth and Naomi below. If you watched last week, advance the video to 4:44. 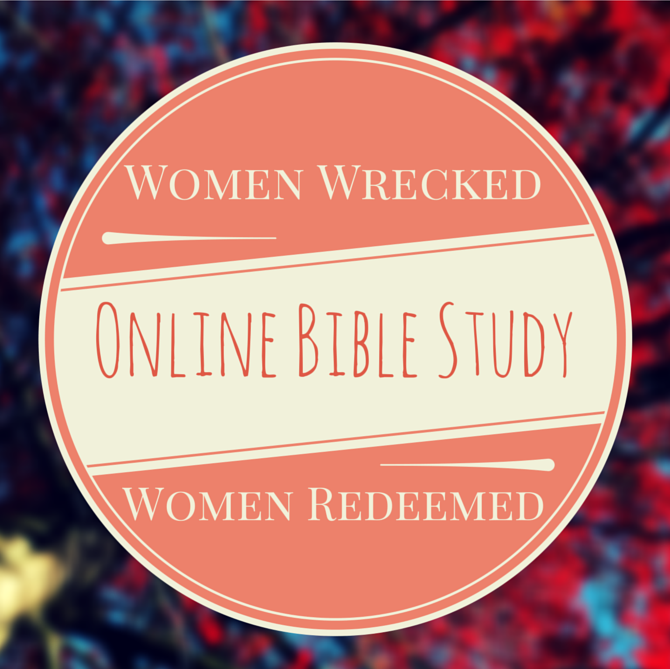 I hope you enjoyed our fourth online bible study from the series Women Wrecked // Women Redeemed! *If you use the bible study in a group or share it with another please give source credit to me and the blog. Thank you! During the rest of the week you can find me at our private online bible study Facebook group where we dive deeper into God's word and talk about it. If you want to be a part of the bible study I highly recommend being a part of the Facebook group where we get to know you more and be mutually encouraged! The Facebook group is private so any information that you share will be seen only by those allowed in the group. You can join the Facebook online bible study group by clicking the button below. https://www.youtube.com/watch?v=NtwhJgv3WqI I hope you enjoyed our third online bible study from the series Women Wrecked // Women Redeemed! *If you use the bible study in a group or share it with another please give source credit to me and the blog. Thank you!